What? Another month has passed? How does this keep happening? Well, I suppose you'll be wanting your news now. You people are positively insatiable! While Dragonmount.com came back to life officially in January, none of the new members to the site have been lured by the call of Saidin just yet. Perhaps some of you extroverts may be tasked with recruiting in the near future. Not yet! Our staff is working hard (or hardly working as the case may be) behind the scenes to update the points page post-update-breaking-stuff and determine who is actually eligible. Keep an eye on the Farmhouse in the very near future. The onsite "points page" thread formatting was terribly broken by the DM9 update, so our intrepid tech support helper Nikon has managed to resurrect the offsite points page and update it (the trick will be teaching others how to do it without accidentally deleting things *cough*Locke*cough*). Big news guys!! The lovely and talented Nikon (okay, okay, enough flattery) has volunteered to teach our Intro to Saidin class, which serves the purpose of orienting new members to the Ways of the Black Tower, earning points, spending points, leveling up, choosing a faction, and various nonsense, all with a touch of RP flavor. For those who have joined the BT but cannot yet see the Farmhouse sub board, please notify us as soon as possible so we can make sure your access request has been submitted and the resident ewok has been kicked once or twice. All is quiet on the Black Tower front. For those who are interested in mafia, Shadow Storm Leader Sooh is running a basic game on the main mafia board, which should qualify for BT points - and has a couple of signup spots remaining. If you're intrigued by this mafia nonsense but haven't the first clue how it works, post there anyway - there are some spectators who would likely be happy to mentor a new player. That's 188 posts in the past month - can we do better? YES WE CAN! With the return of @Smiley73 and @Crimson_Ayla, I don't see how we could possibly not improve on this number. It appears the Debates and Discussions forum is outpacing our spamminess. Let's show those folks what crazy looks like, shall we? So that completes our news for the month of January! You have ideas? You have questions? 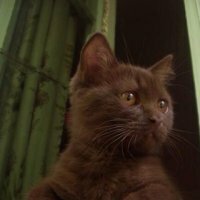 You have adorable cat pictures? Share them here! I can't see the farmhouse yet. As I suspected! Will see if we can get that submitted post haste. Thank you for another find edition of the Tainted Times. I really do look forward to seeing it. I promise to post more in the 300,000 Post Thread. Wise words- don’t let Locke come near the points page. speaking of which, since the mafia got killed maybe someone who likes to run big games could be persuaded cause that was half the activity here. With the fancy extras for mafia not working anyway don't see it being much of a draw anywhere for a while. We're gonna keep the rules in place (except for considering a simplification), but expect some promotions to appear this weekend. Rules are good. I just don't remember what they were lol. i won't expect anything but the Spanish Inquisition, promise. They're on the off-site boards. I'll find them and post them soon. Just like the promotions, which I totally forgot about in the recent busy weeks (or did someone else do them? I only checked the main board so far). Edit: Quick update on the promotions, I didn't have everything correct in my mind, and it turns out that there is no exact list of who are up for promotion (like I thought there was). Additionally, I want to discuss with the other staff members about simplifying the requirements for promotions, as right now they're so complicated even I barely get them. Ya that's the impression I got, and yay for simplification. i just wanna see some soldiers. We're pre-last battle here. Ley brought this to the staff´s attention and we are going to take a look at things. It might take a little time though, so be patient. 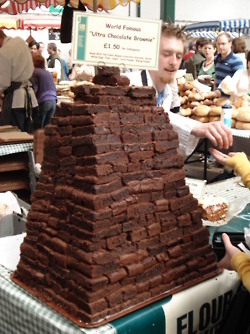 The Black Tower is built out of tainted brownies. But most of them have hardened, not quite into stone, but almost. You sure? They look like brownies to me. Hmmmmm.... the hallucinations are proceeding apace. You're acclimating quickly!